ARE THESE THE ONLY CLOTHES I HAVE IN MY WARDROBE? To me, all of them look the same, neither the color nor patterns. I just can't get enough. You may doubt that why don't I mix & match with the clothes I have? So that they won't always look the same. I did that, I swear. But then turn out with not much of outcomes which look perfectly match, some may turn out weird indeed, like a Christmas tree with everything on? Moreover, I used to get bored with clothes which I have wore once only LOL. I bet we are the same, girls, haha! Now, do you want more clothes?? Well, guys and girls, IT'S TIME TO REFILL YOUR WARDROBE!!! Everyone one of you is invited! Yeah, the largest clothes buffet will take place soon, with 50,000 pieces of fashionable pieces, this event brings shopping a brand new level for young fashionistas without breaking the bank! Brought to you by LINs Communication and A Shopaholics Den. 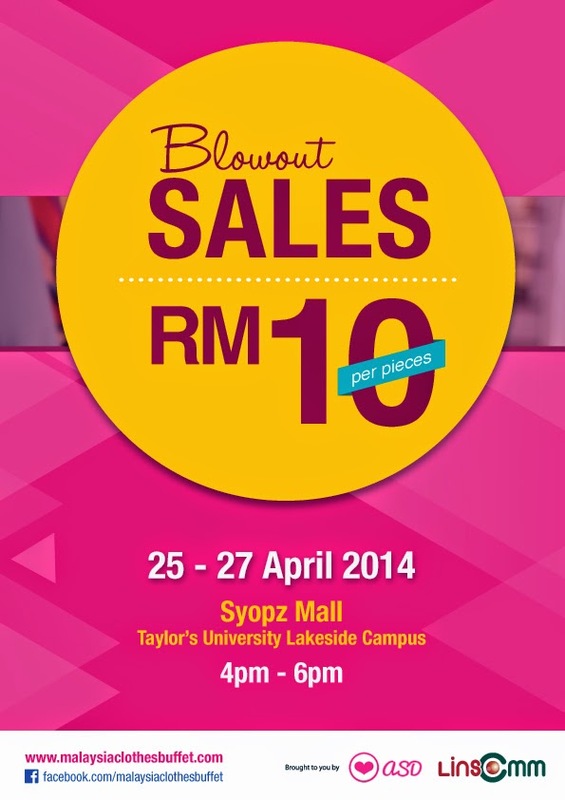 Venue: Syopz Mall, Taylor's University Lakeside Campus. With the main highlight above, you'll need to pay only RM60 as entry fee and you'll be given a ziploc bag to fit in as many pieces of clothing as you want in 15 minutes with the restriction that you need to zip the bag. Eventually, you can bring home everything stuffed in the bag! How worth wtf. Here's part of the sneak peak, for more. 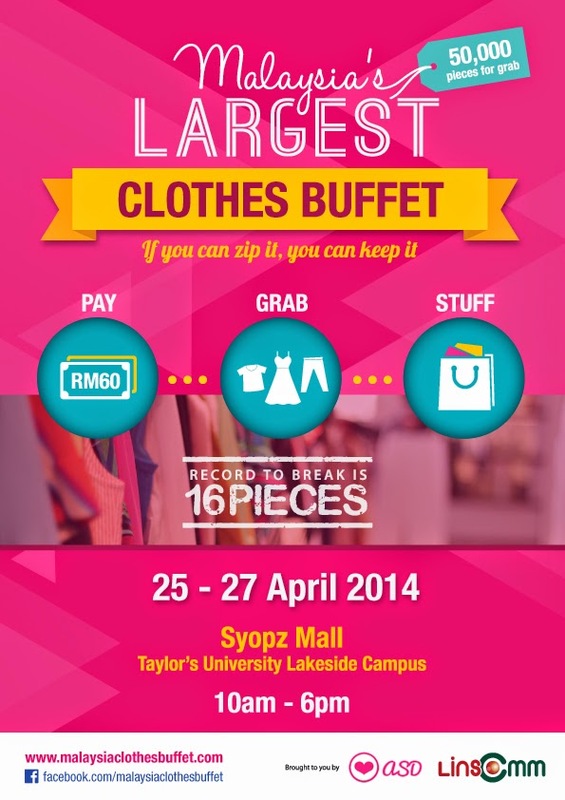 Besides the clothes buffet, there'll be a blowout sale which held from 4-6pm on each of the 3 days. Each piece of clothing will be on sale at RM10 only. 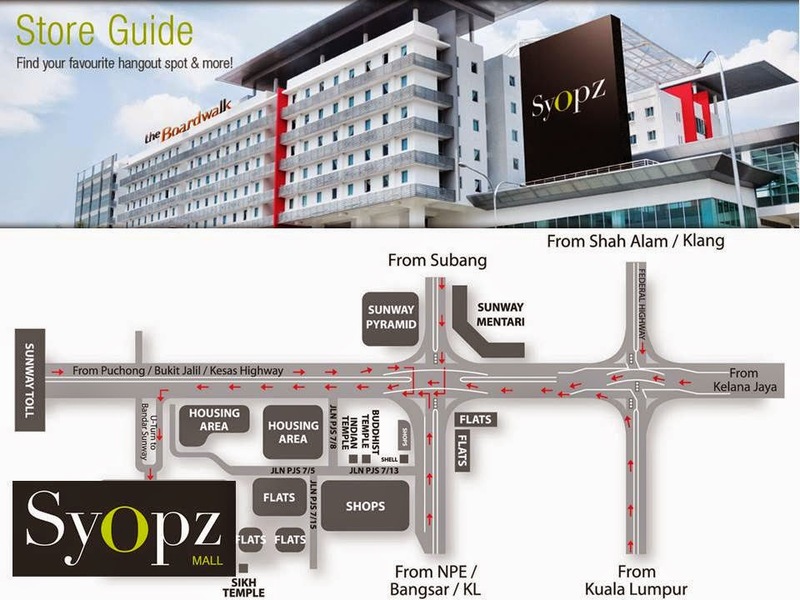 Variety of stalls will also be participating in the adjacent fashion bazaar! Just ROLL all the clothes to create more space and SQUEEZE them in! What's the point to miss this opportunity, when you can have around 5 pieces clothing and you'll need to pay only RM60? Ok lahh, lets see, I assume that a T-shirt will cost RM10, paying RM60, you can have 6 pieces. But then who knows you can stuck in more than 6 in the ziploc bag? You get 7! Then you're only paying each clothes for RM8.57! Third, it's fun! You know how fun it is to grab the limited clothes with all the women out there haha! Bet there'll be a women's war. Next, it's a skills required event, you can definitely practice skills on folding/rolling clothes and how to stuff them in a ziploc bag. 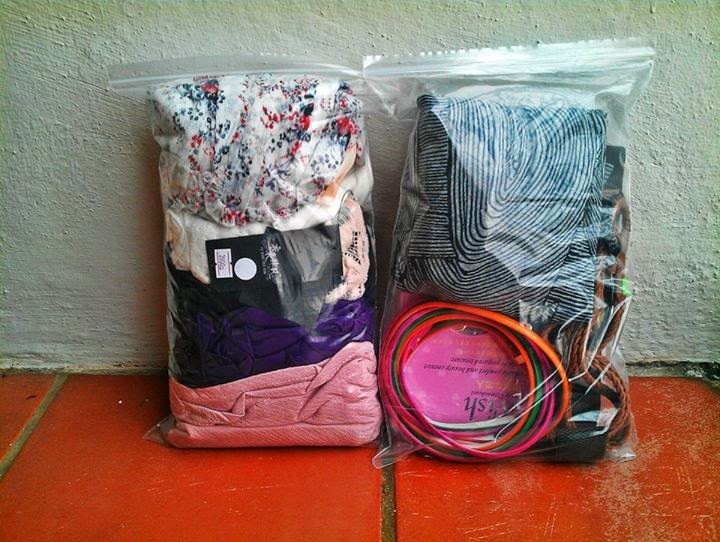 It may be good to you when you're planning to travel, packing stuffs in your luggage. Lastly, it's challenging/exciting because you'll need grab as many clothes as possible in just 15 minutes and still roll and stuff them in the ziploc bag, hmm.. Grab the tickets in advance here!Don't miss this out, you'll definitely regret after all! My 15 minutes haul from Clothes Buffet!